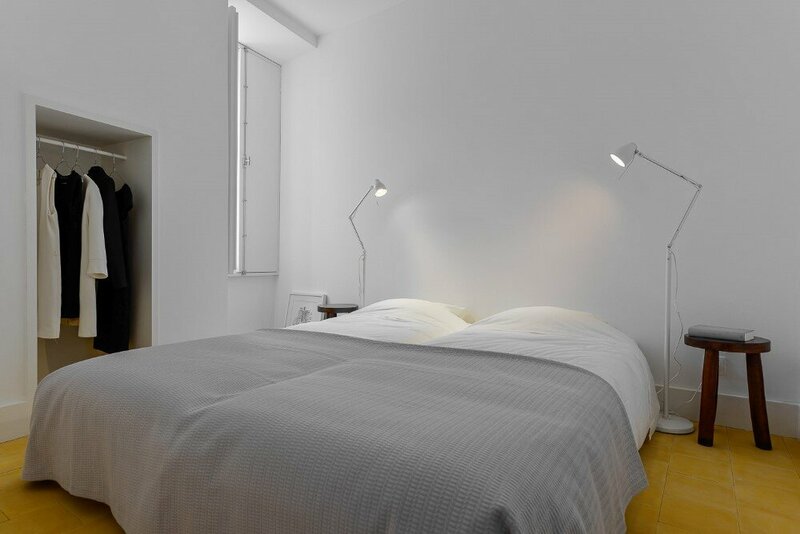 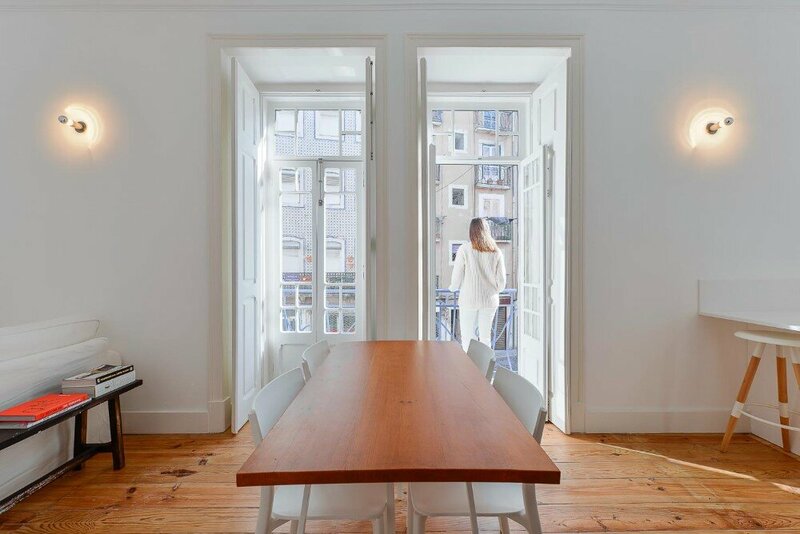 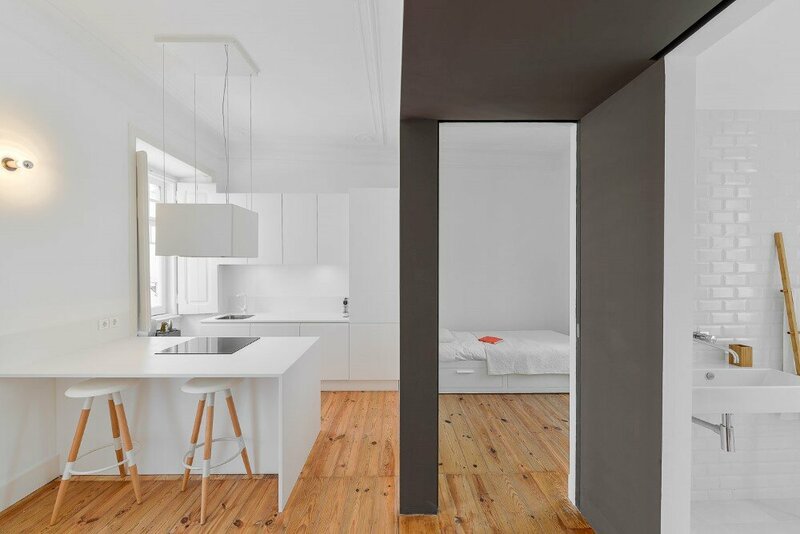 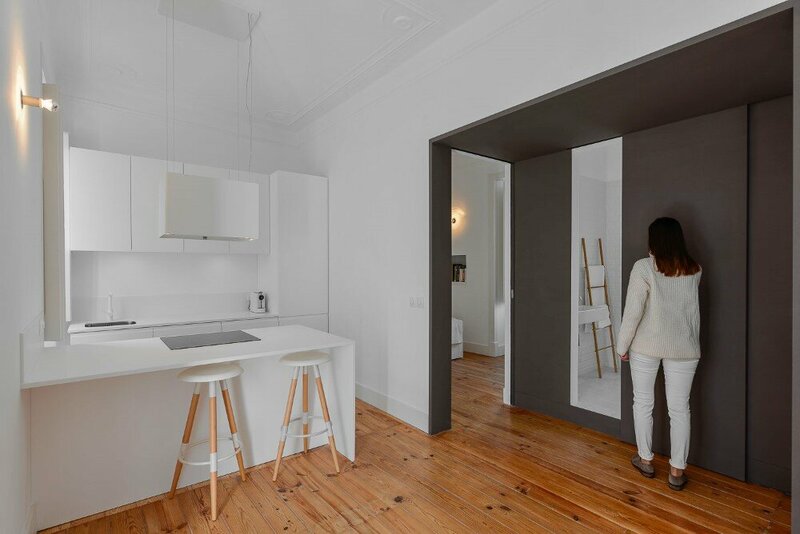 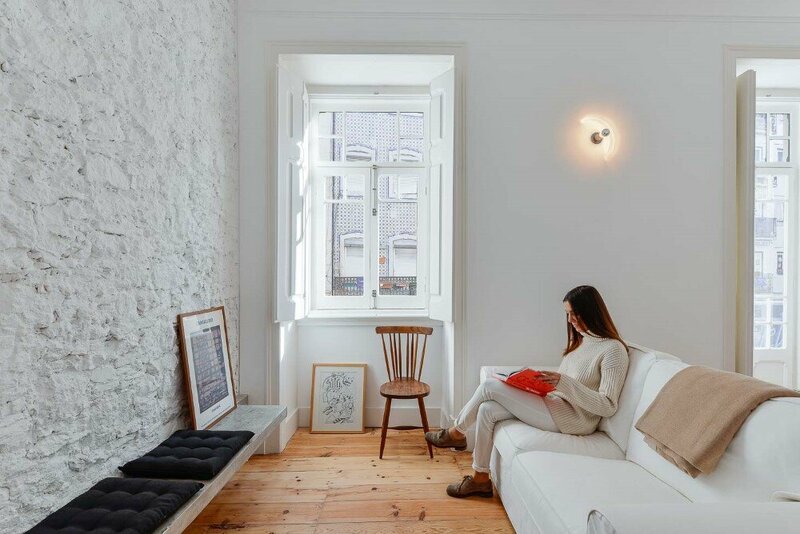 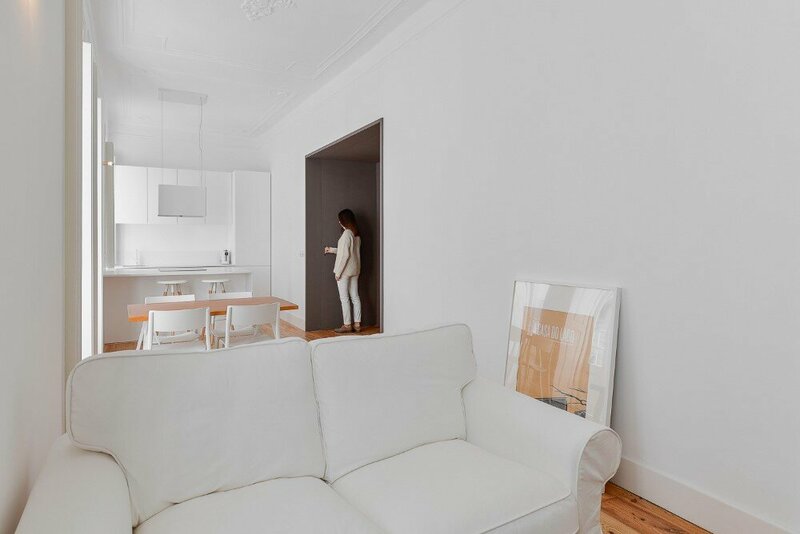 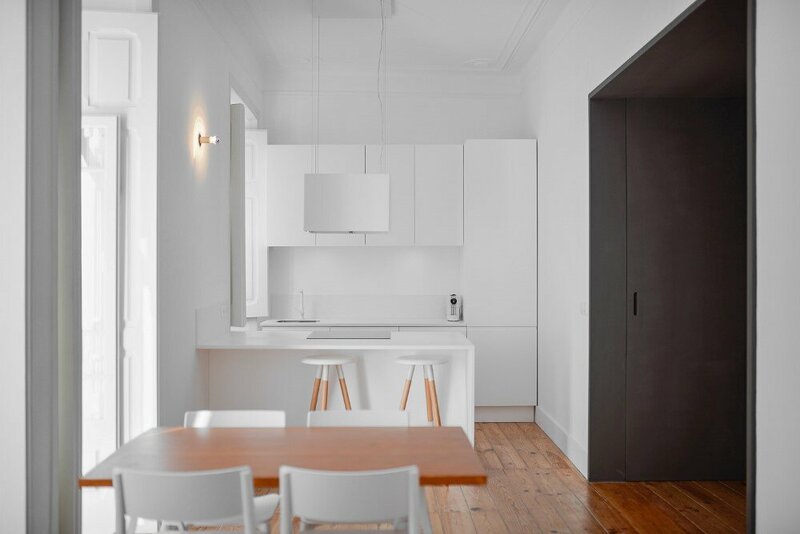 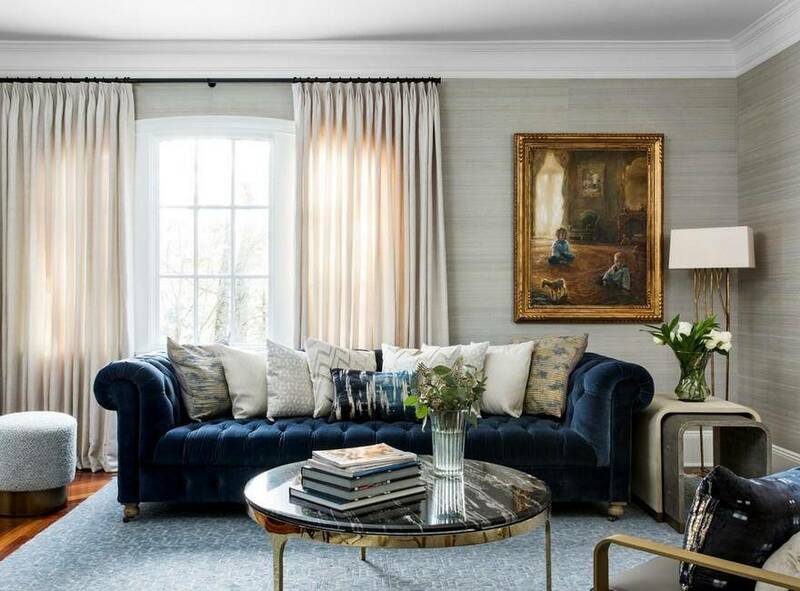 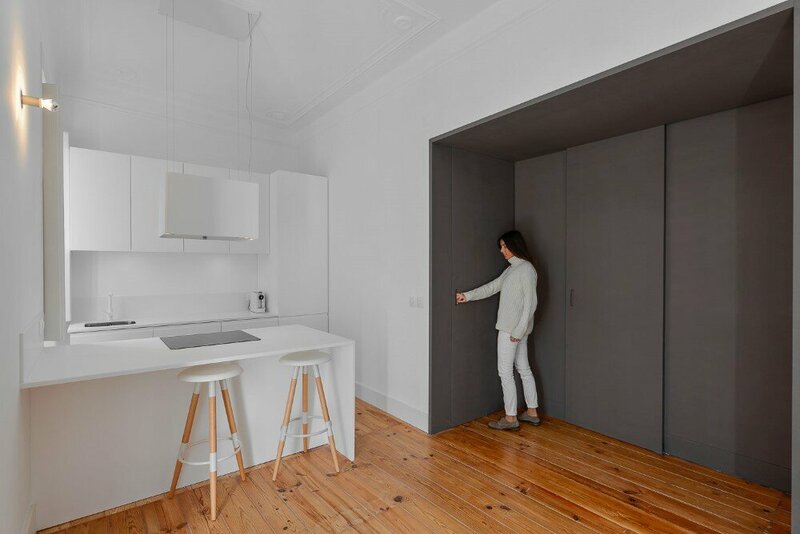 This apartment, located in the old Mouraria neighborhood from Lisbon, Portugal, has suffered many transformations over the years, which involved various partitions of the space. 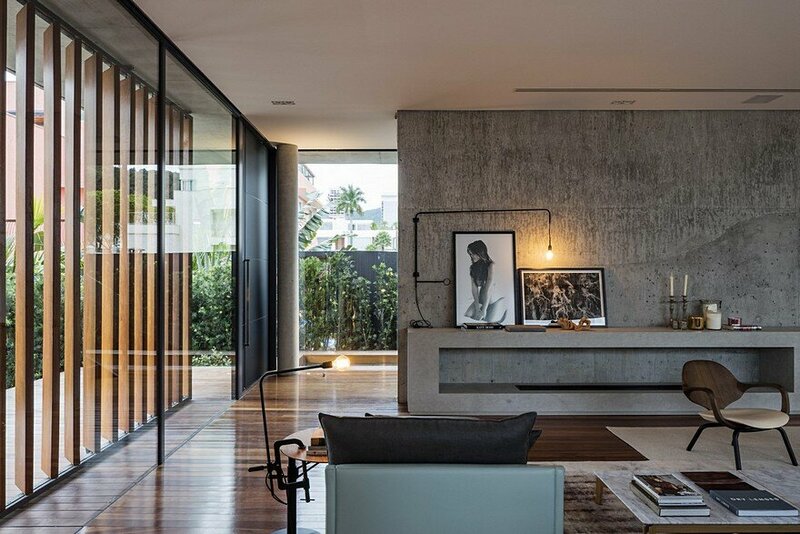 The relationship with the street was under-explored and the connections between social and private areas were ambiguous. 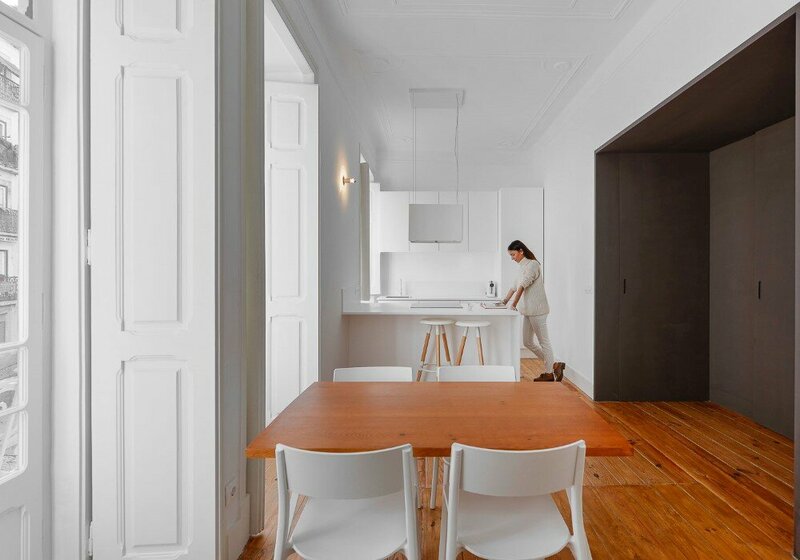 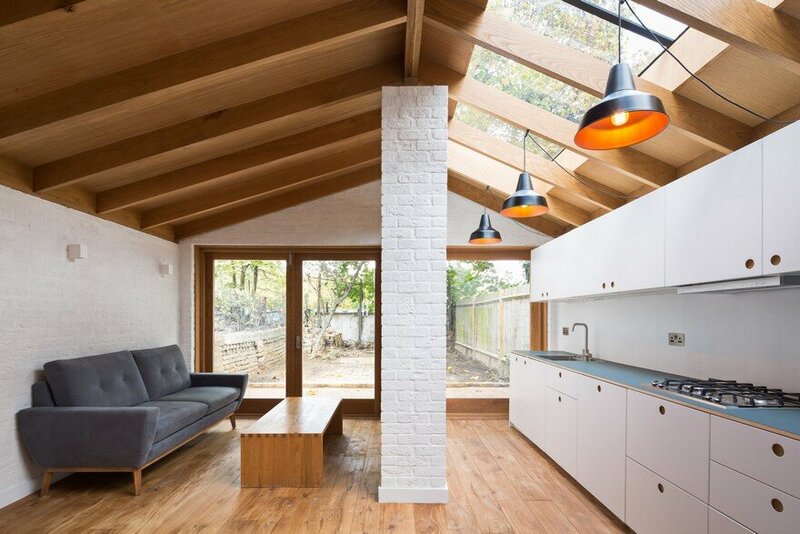 The intervention made by the architect José Andrade Rocha had the purpose to open the social area of the residence to the street and in the same time protect the private area. 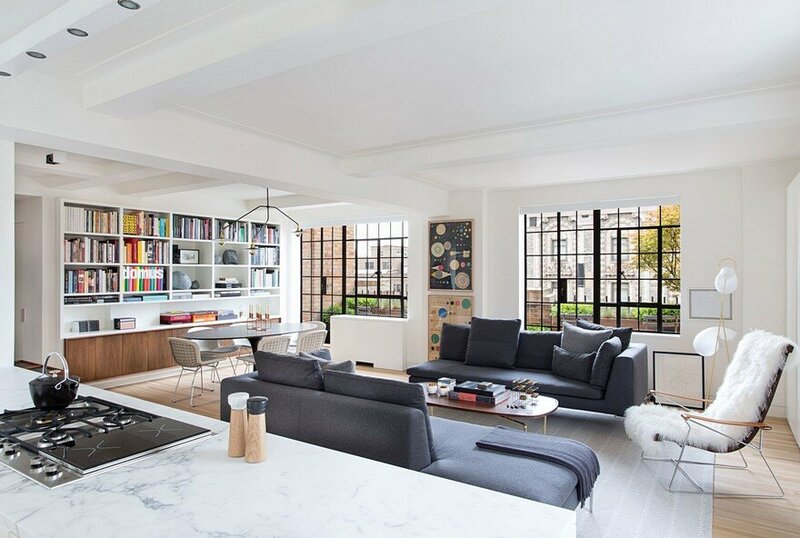 In this regard the living room was united with the kitchen into one space that extends on the entire length of the facade.